101 easy-to-implement ways to strike a balance between your work and your life. Is your business all consuming? Have you forgotten what it's like to have a life? Are you tired of feeling overwhelmed day after day? Would you like to take control of your life again? If, like most business owners, you are struggling to balance your business and your life, don't worry! 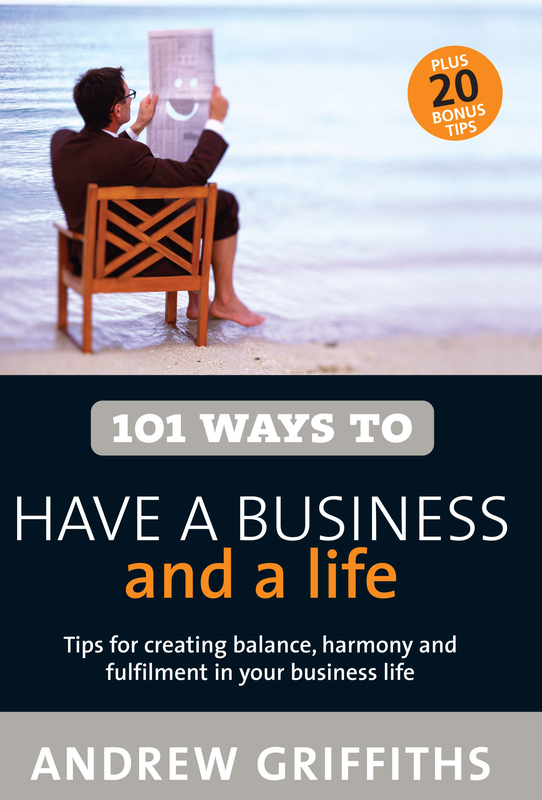 101 Ways to Have a Business and a Life provides simple, practical and easy to implement ideas that will help you to identify the main reasons behind this lack of balance and, most importantly, what to do about them. Thousands of business owners around the world have been consulted in the writing of this book and their experiences, tips and coping mechanisms compiled into one easy reference book that can get even the most out of control business owner quickly back on track. Get ready to put the passion back into your business and your life. All of the tips can be implemented quickly and with little or no cost. You can be the boss of your business and your life. Includes 20 bonus suggestions to ensure that you're the one calling the shots in your business world. Andrew Griffiths is a professional business consultant based in Queensland. His company, The Marketing Professionals, provides practical and creative marketing solutions to both large corporations and small business operators. 101 Ways to Have a Business and a Life is the fifth title in the highly successful 101 Ways series.